Good food and proper nutrition can go a long way toward starting and sustaining the healing process. Even conventional physicians know this, telling their heart patients to eat less salt, for instance, or diabetic patients to eat less sugar and fewer processed carbs. But what about someone who’s developed autoimmune symptoms, chemical sensitivity, fibromyalgia or other chronic illness, all of which may be triggered by amalgam fillings or other toxic dental materials, focal infections or cavitations? What about those who may not have a diagnosable condition yet don’t feel their health is at their best and want to do something about it? We pinpoint specific nutritional strategies that target their unique biochemistry and health status. And of the best ways we’ve found for doing this is a method called Autonomic Response Testing (ART). Unlike a blood test, ART is non-invasive. Instead of taking samples of blood – or saliva, urine or hair – we test your neurological reflexes. Since your nervous system controls all of your body’s processes, it can also tell us much about the overall state of the body. After reviewing the test results, we come up with a specific nutritional plan for that patient, targeting their particular health issues. We then meet with them to discuss the results and the dietary changes they should make to promote detoxification and healing. Because these recommendations are so specific and unique to the individual, allergens are easily avoided. Patients also know the right doses of the right supplements for their needs, which saves them a lot of time and money, as well. There’s no trial-and-error or second-guessing. Since nurturing general health is good insurance for proper healing from dental procedures, we incorporate ART and Designed Clinical Nutrition into the treatment for periodontal (gum) disease, mercury toxicity, cavitations, focal infections from root canal teeth and other problems. We use it to help each patient prepare their body to detox and heal. We also use it in cases where caries (cavities) are an issue, for children, adults, seniors – the entire family. We know that the best source of nutrition is the most natural: whole, organic, minimally processed foods, including lots of vegetables, fruits and whole grains. Only through whole foods can you be assured of getting all the co-factors – enzymes, phytochemicals and such – that are needed so that the body can effectively assimilate and use the nutrients it needs. Synthetic vitamins and supplements lack these. Consequently, they aren’t very effective: What your body can’t use, it excretes unused. So when supplements are needed – as sometimes they are – we always recommend whole food sourced supplements, as they do include the co-factors you would get if taking the vitamin through a particular food. 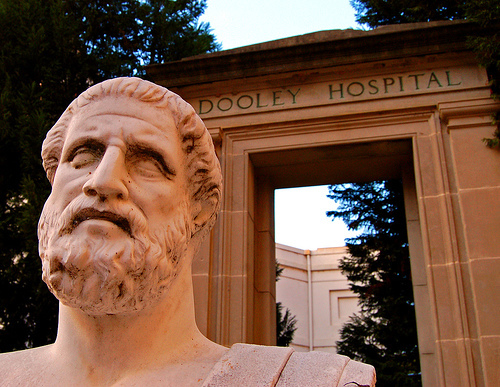 This is one way we carry on the tradition from Hippocrates: Let your food be your medicine. Dr. Erwin, do you treat people with Chronic Lyme disease? My son and I need a Biological dentist as we were told it’s the only kind people like us should use. Yes! You’ll find info for prospective patients here: http://drerwin.com/firstVisit.html. Then just give my office a call (818-246-1748) to set up appointments for you and your son. We look forward to meeting you and helping you!